Pizza. I love pizza. Once, on a road trip with another pizza-loving friend, we ate nothing but pizza for three days morning, noon and night. And I'd do it again. But I've found THE pizza. THE one. Daniel and Katie Jimenez have been cooking up perfect wood fired pies from The Old Oak Oven, a little camper food cart on Jersey Street in Silverton, Oregon since 2012. It's in a tiny vintage camper; I was shocked to see the domed wood fired oven right there inside! Katie is the ever-smiling sprite at the front window, taking care of you in a relaxed but focused and efficient manner. She passes the orders back to Daniel, the master pizzaiolo at the oven, who is assisted by another gentleman (sorry, I don't know his name!) who preps. They are lovers of quality ingredients, slaves to painstaking assembly, and champions of the superior quality of local and organic ingredients. All this love shines through in the product: wood fired whole pies and slices that are amazingly beautiful and tasty, with each element of the whole standing its own. The crust is perfection, sheer perfection. Very flavorful, thanks to a multi day resting period that allows for more yeast action/fermentation. If made on Monday, it rests and rises until it's used on Wednesday. It is crisp on the outside, moist and chewy on the inside. The hot, hot oven puts a slight char to the crust. The approach to assembly differs from the usual, with the cheese going straight onto the crust, then dollops of the rich, well balanced sauce dotted on top, followed by toppings. This means the crust never sogs out. 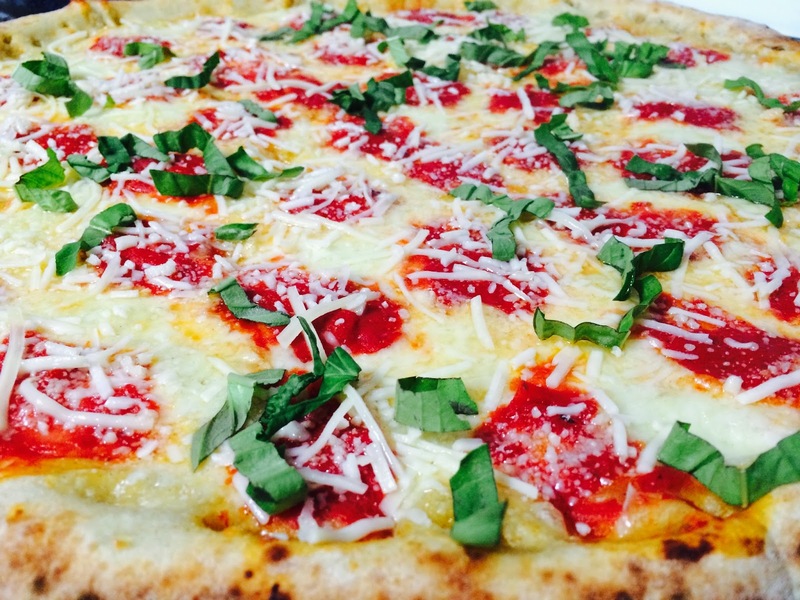 Our favorite is the Margherita, a simple flavor blast of tomato with basil sprinkled over the top. 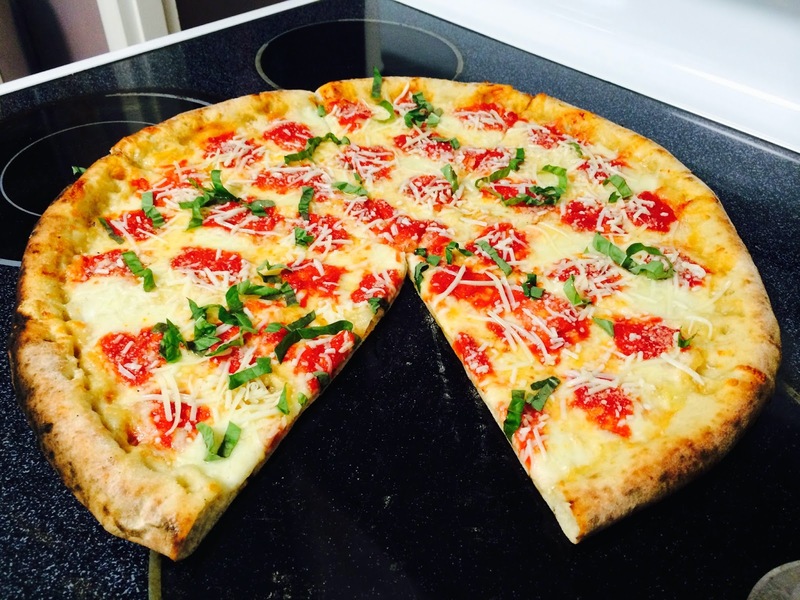 The pepperoni pie is very flavorful, without being the least big greasy. Once I was able to try the Sicilian, and it was delish as well. Over our many visits, the amazing quality has been 100% consistent. Being pizza fanatics, especially fond of wood fired goodness, it's surprising it took us this long to get out there to check them out. Now that we have... I drive from work in downtown Salem out to Silverton once a week to pick up a whole pie for dinner. Place our order early as they routinely sell out of dough in the evenings, or may back up with orders. If your pizza will travel a bit before you arrive home, mention this and they will leave the pie whole and provide simple instructions for finishing it off in the oven when you get home. While the pizza is best eaten hot right out of their wood fired oven, this carry-out method works very well, also. Weekly posts on their Facebook page detail current menu options. As of this writing, their hours are Wed - Fri 11:30 a.m. - 7 p.m. (isn), and Saturdays from Noon to 4 p.m. or until they run out of dough. That looks fabulous! How did they ever get a wood-fired oven in a food cart? Very carefully. LOL. I'll ask when I pick up dinner tonight (I was serious about eating it once a week! ), I'll ask if they built it in place, or took a side off the camper and moved a unit in. I'm going to guess the former... but you never know! Katie let me know that a number of people have ventured out to say hello and try their pizza after reading my review. THANK YOU, those from Salem and Keizer who have taken the joyful drive out through the valley. 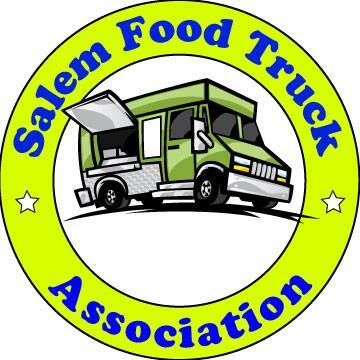 THANK YOU eatsalem.com for giving people a place to share their opinions. And THANK YOU Old Oak Oven for making some great pizza.